Fiddle Leaf Figs are becoming ever-so-popular in homes these days and for good reason. They are beautiful and make a nice statement piece when added to your home decor. They also make a room feel organic with their oversized green leaves. And now they are more available to purchase as popular stores like Home Depot and IKEA sell them at affordable prices. 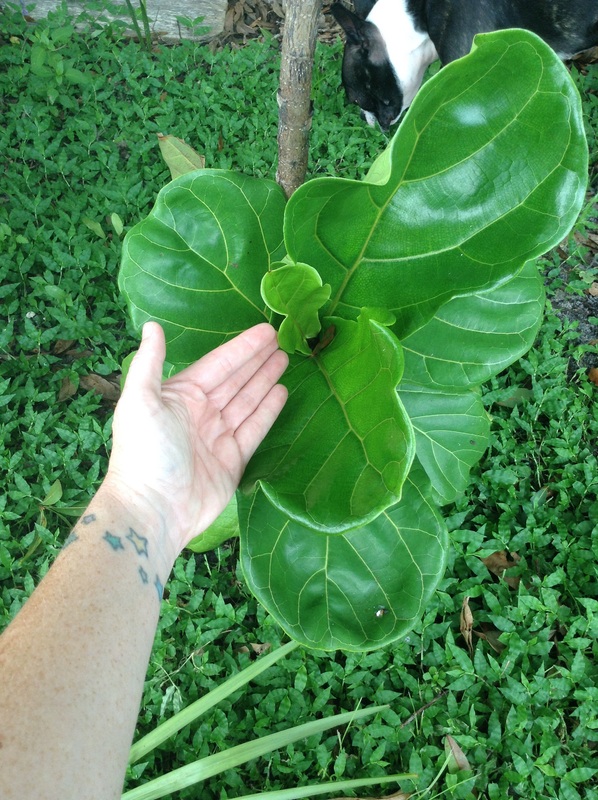 I purchased my first Fiddle Leaf Fig from Home Depot over a year ago. He has some brown spots on him already, so I was a little worried about that as a new fig owner. I know they are very fickle trees so it would be a little challenge as my first, but I was willing to take it on. It was about 6 feet tall and was priced at $30. I talked the garden center manager down to $20. I was a very happy fig owner. I knew if this wasn’t going to work out that I didn’t want to drop a large chunk on one, so the lower the amount, the better I felt about it. A penny saved is a penny earned, right? I had done a lot of research as soon as I got home with my new fig because I wanted to provide the best care as it was already going to be a challenge. Armed with my acquired knowledge, I did what was commonly suggested: 1 cup of water every week. After a few months or so in, I noticed that the brown spots seemed to get bigger. I figured I was doing something wrong. I assumed that I was over-watering it, so then I gave it less water. The leaves started dropping off like crazy. I then started to give it more water and the leaves stopped dropping and there was new growth at the base of it, but it was already very pitiful looking. I considered returning it to Home Depot, but couldn’t find my receipt. At that point, I tried something risky: I planted it outside. I live in central Florida where temps are fairly warm year-round and one of our local malls has them planted right around the building, up against it and they seemed to be doing well as they’ve been there for years. I planted it in my back yard under a large tree where it is mostly shaded for the entire day. I planted it about 2 months ago right before we had a month of rain every single day for most of each day. I didn’t worry, I just hoped for the best. After a few weeks, I noticed that the leaves were looking a healthier shade of green and there was new growth! There was actually A LOT of new growth. In this time, it has grown at least 15 new leaves. And they grow so fast. A leaf can go from a bud to a 4 inch leaf in two days. This is in the evening when the sun starts to hit it. So something is working well out there. 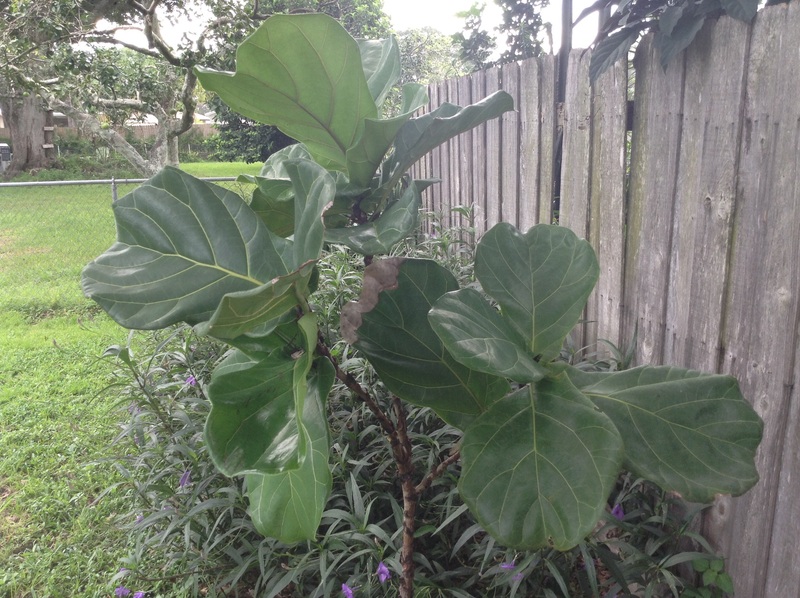 Fiddle leaf figs are native to an African tropical rainforest. If you think about that climate, you want to try to replicate that for them as best you can. Indoors, that will be a challenge unless you put it in a sunroom. If you aren’t putting it in a sunroom, you will want to water it less because the water won’t be evaporating or drying up as quickly. You will want the soil moist/damp, but not saturated. You will also need bright light for your plant, but I would not allow it to be in direct sunlight. I think it’s ok for it to have a little as mine outside receives direct sunlight sporadically and at sunset. And something else that just makes sense to me: if your leaves start turning brown, think about the water absorption process. If the bottom leaves are the ones turning brown, they are the first to receive water and nutrition from the soil, so you are probably over watering it. If it is the top leaves, there may not be enough water to travel all the way up to them, so you might be under-watering it. 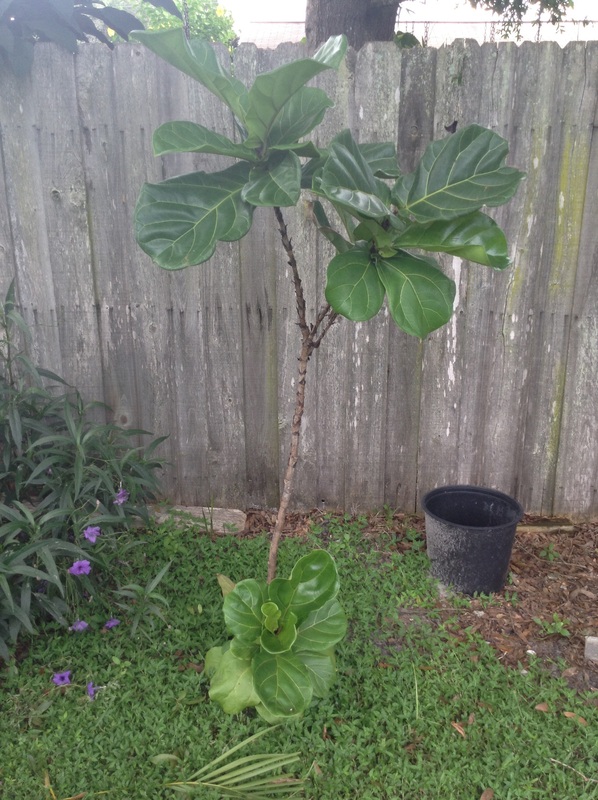 I am no expert, but I have owned a fig tree for over a year and now have three. I’ve done a lot of research, including speaking with others who have not had good luck. I’ve seen what works and I’ve seen what hasn’t worked. You might have to go through a fig to get it all figured out, so I suggest buying a smaller one at first. 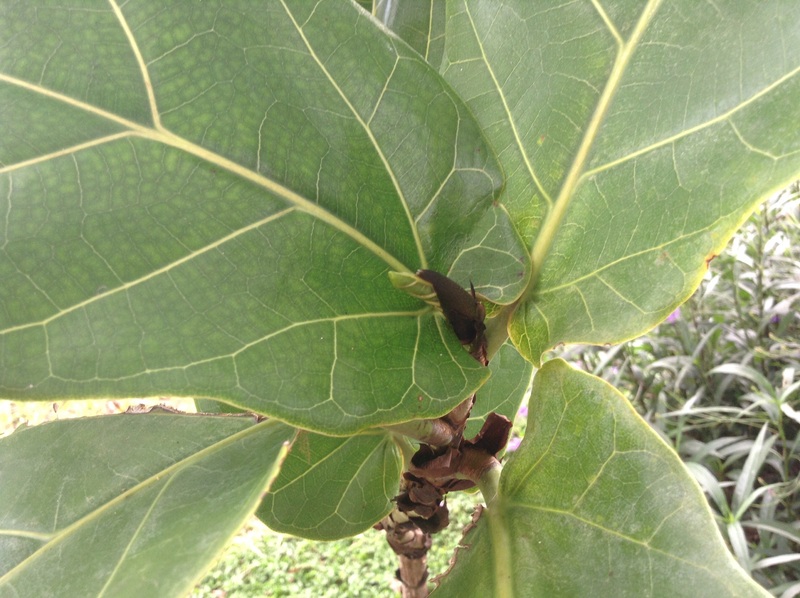 If you do get brown spots, when they are large, go ahead and remove the affected leaf. This will keep the tree from spending a lot of its nutrition trying to heal the wounded leaves. 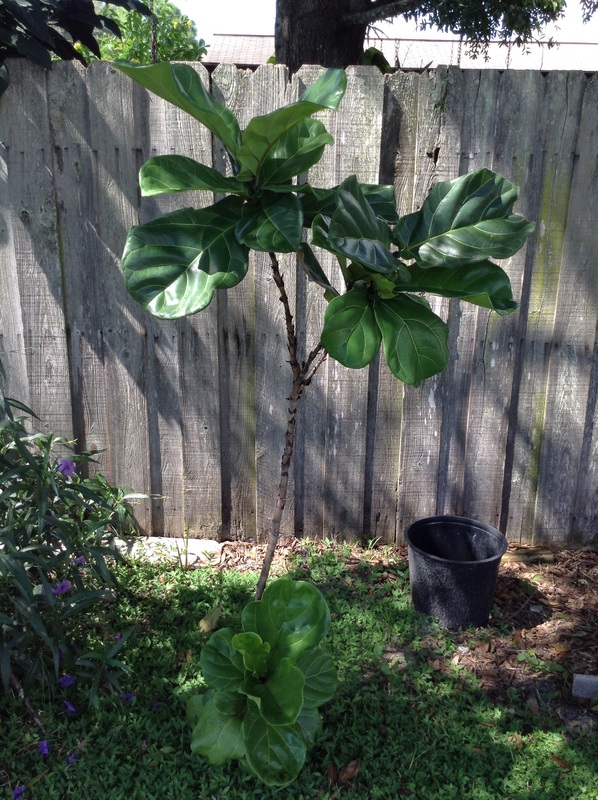 When you water your fig, you will need the soil that has begun to dry out to re-moisten. Ever-so-often, I will pour in enough water that it runs out the bottom, just to ensure that the water is getting all the way through. 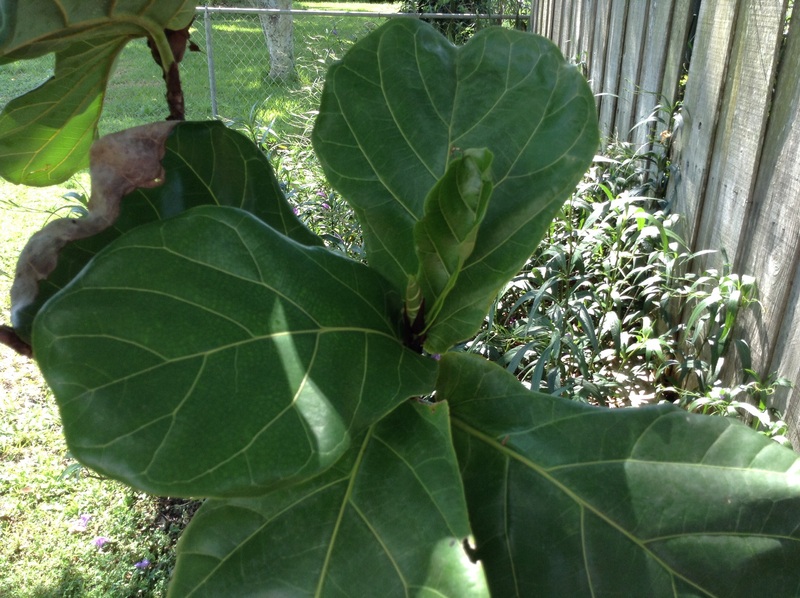 Most of a fig’s roots are in the bottom of the pot, so you need to make sure that area stays moist enough. Make sure it doesn’t sit in any excess water drainage as well because that can cause root rot. Another pointer: I water my figs with room temperature water as I’ve always heard to do this with any indoor plant so as not to shock it. I really hope this article helps. If you have any questions, please leave a comment and I will respond promptly!